The suspect in the death of a Fort Myers Police officer is being held without bond on first-degree murder charges. 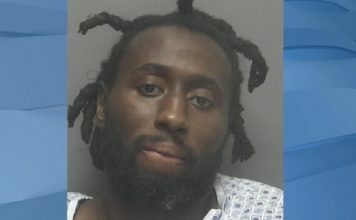 Wisner Desmaret, 29, made his first appearance in court Monday morning after being transferred Sunday night from Lee Memorial hospital to the Lee County Jail. The State Attorney’s Office announced Monday that a grand jury will be convened to consider the case of State vs. Winser Desmaret. Desmaret said in court Monday morning he was the real target. Desmaret is being held without bond. “I don’t have no money to pay for no bond anyway,” Desmaret said. Desmaret’s next court date is Aug. 27 at 8:30 a.m. He sustained non-life threatening injuries while being apprehended after allegedly shooting Officer Adam Jobbers-Miller. Jobbers-Miller died from his injuries Saturday after being shot in the head on July 21, while responding to an incident at a Marathon gas station on Dr.Martin Luther King Jr. Boulevard. Officers are still standing in numbers to support fallen officer Jobbers-Miller. They crowded a courtroom as the man accused of shooting their colleague took the stand. Desmaret is sitting in the Lee County Jail. Looking into Jobbers-Miller’s personnel file, it shows how dedicated he was to his community. An initial 2015 performance review said Jobbers-Miller was eager, but just not ready. A jump in his 2016 performance review said the department would like to see Jobbers-Miller become a role model to other officers. Now locals are rallying around the fallen officer in many ways, like making plaques. One of the plaques is in the Fort Myers police station, and the other was given to Jobbers-Miller’s family. “Everybody that sees one or gets one is so happy and it’s unique,” Artessa said. Artessa added he’ll make as many as the family wants. Artessa said he started making plaques about six months ago, and is happy he can give back to the officer’s family in some way. 2:00 p.m. Chief Diggs names Wisner Desmaret, 29, as the suspect in the shooting. Officer Jobbers-Miller remains in critical but stable condition. 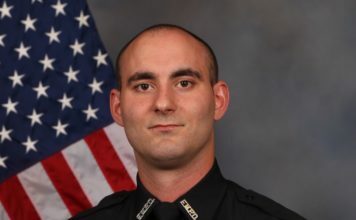 A GoFundMe for Officer Adam Jobbers-Miller, started by the Fort Myers Police Department raises over $27K in 24-hours. Father of accused shooter reacts to news of son’s arrest in an interview. Other than non-life threatening, the condition of the suspect remains unknown. Officer Jobbers-Miller remains in critical but stable condition according to FMPD. WINK reports new video that shows the man accused of shooting officer Jobbers-Miller running from the scene. 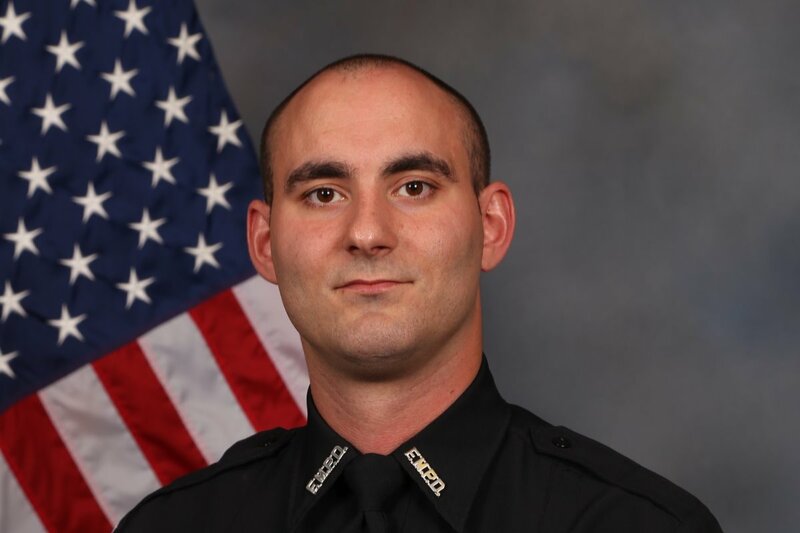 Officer Jobbers-Miller remains in critical but stable condition. The body of Officer Jobbers-Miller is transported in a procession from the medical examiners’ office to a funeral home as officers, first responders and citizens line the streets. 8:30 p.m. Wisner Desmaret is transferred from Lee Memorial Hospital to the Lee County Jail to face first-degree murder charges in a first appearance Monday. 9:30 a.m. Wisner Desmaret will face a judge for a first appearance facing charges of first-degree murder.